Thank you so very much for your support and your prayers. We continue being hit by a double whammy. First, due to the economy, contributions to our mission are down about 20%. Meanwhile, because of the extremely high cost of heating fuel and gasoline in isolated Nome, which drives up the price of everything, our expenses have risen 25%. And so, we need your continued help now, more than ever. Perhaps you can interest a friend in lending a hand to our work? As below, you might persuade your parish to hold a second collection on our mission’s behalf so that we can find new supporters? One thing is for sure. We need your prayers. As ever, we thank you for yours, and we assure you that you and all of your intentions remain in ours. Featured on KNOM since the mid-1980s, the program provides regional job listings as well as training opportunities. Since the show began, you have contributed a total of about 375 hours of employment information to two generations of western Alaskans. That’s more than 15 days! It’s a small, but very important element of our work. Thank you for making it possible! 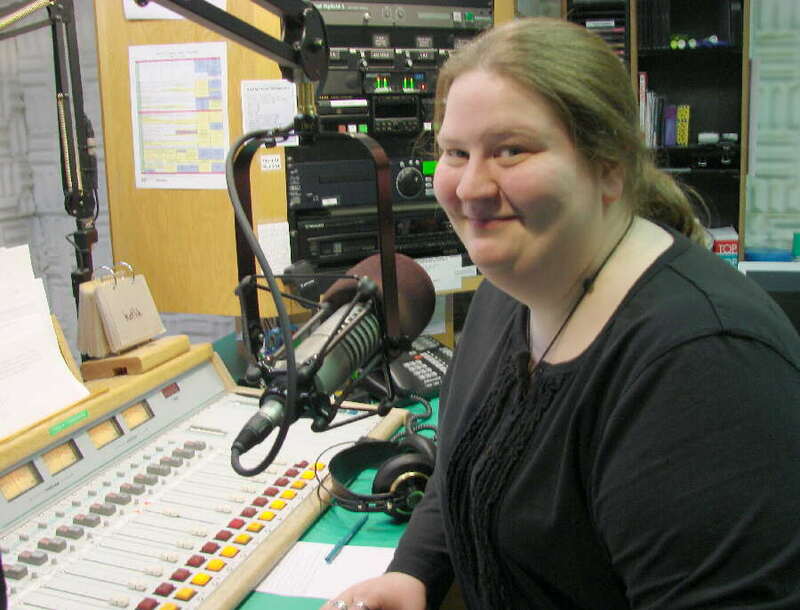 A DONOR HAS SUGGESTED that her parish take up a second collection for the KNOM radio mission, and is pursuing that possibility. Perhaps general manager Ric Schmidt or another mission representative could speak briefly at Sunday Masses in your parish? Might you speak with your pastor to see if that could happen in your parish? INSPIRATIONAL SPOT: I said a prayer for you today, and I know God heard. I felt the answer in my heart, even though He didn’t speak out loud. I didn’t ask for wealth, I knew you wouldn’t mind. I asked Him to send lasting treasures. I asked that He be near you at the start of each new day, and grant you health and blessings and friends. I asked for happiness for you in all things. But it was for His loving care for you that I prayed most of all. ALERT! (left) General manager Ric Schmidt checks the unit that triggers Emergency Alert System alarms. 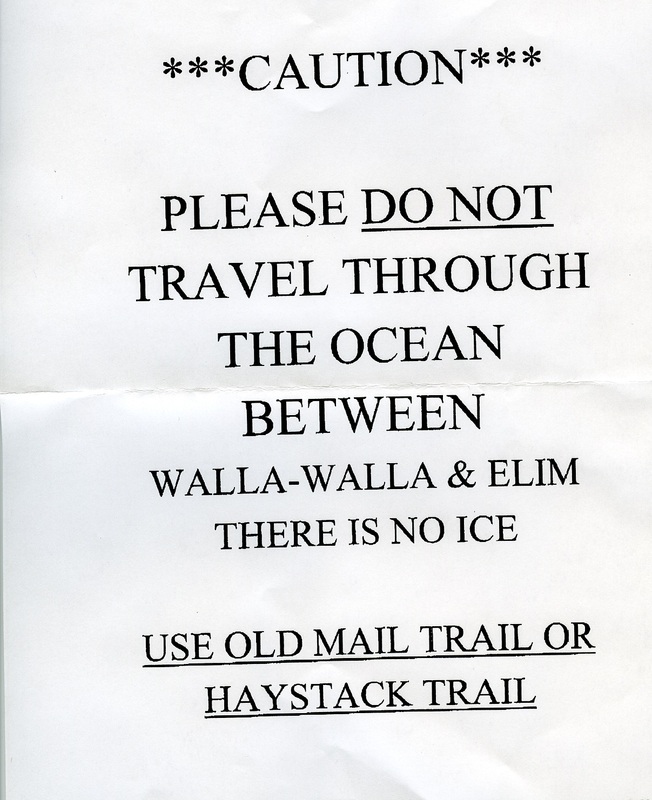 In Alaska in January, officials tested what’s called an Emergency Action Notification. That’s the method by which the President of the United States can press a button and appear on every radio and television station and cable channel in the country. Remarkably, the 13-year-old capability had never been tested, and rather than panic people throughout the nation, it was decided that Alaska has a small enough population that everyone could be expecting the simulated alarm, and it was worth a try. The alert worked — almost. 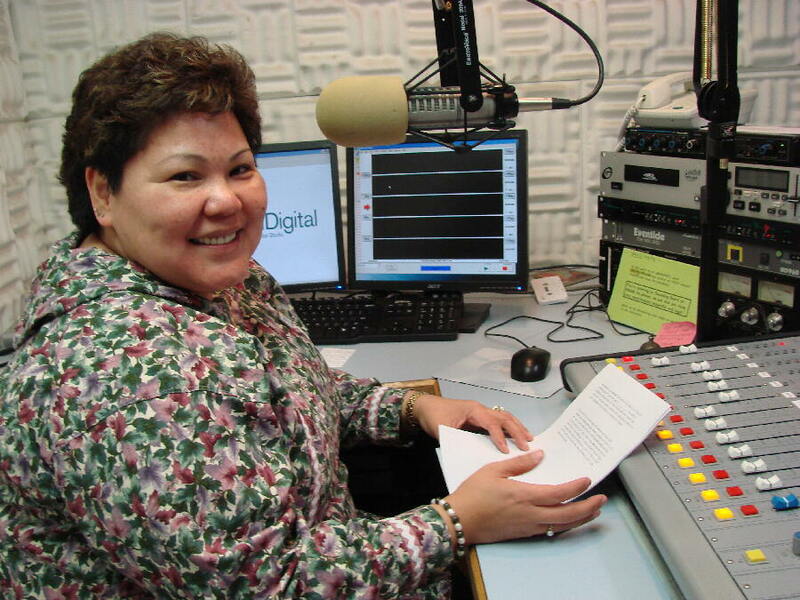 Statewide, a couple of radio stations, including KNOM, did not receive it because of a failure in Anchorage. The problem has been identified and corrected, and results of the test will help solidify the system in the rest of the country. SPEAKING OF EMERGENCIES, for the second time so far this winter, KNOM’s hourly weather forecasts occupied over ten minutes of time, with each of the eight forecast areas throughout our 100,000 square mile coverage area the object of numerous storm watches and warnings. Near the village of Elim, 94 miles east of Nome, a man was stuck in the elements when his snowmobile quit. As rescuers went to look for him, authorities asked KNOM to broadcast warnings about places in the search area where the ocean ice was dangerously thinner than normal (left). The man was located and all were safe. As the storm abated, Ric Schmidt noted many teens digging out the homes of elders, not only their walkways and steps, but also around their heaters’ exhausts, many of which are in their walls. (Left) Elim is located on the Bering Sea, east of Nome. 1,126,000: It’s only a rough estimate, but that’s approximately how many inspirational spots have aired over KNOM, as well as an equal number of educational ones, thanks to you. Thank you! Please consider adding the KNOM radio mission to your will. We prayerfully place all bequests that will provide for future major improvements, or help out during unforeseen emergencies. INSPIRATIONAL SPOT: For a hundred different things, the answer is still the same: start over again. I’ve failed in God’s service, or failed my family, or my work, or my studies, my exercise, my diet. The answer seems to be just the same: start over again. And I guess that’s the grace to ask for Lord. I put my self-pity behind me, and ask for Your grace, and start over again. BY DAY, Joleen Oleson (left) is an accountant for the nonprofit Alaska Native corporation for the Bering Strait region. But every Wednesday evening, you’ll hear her cheerful voice over KNOM. Joleen is one of eight generous souls who for years have contributed hours of their time each week to help the mission. among many more. Thank you for making this coverage possible. OUR COVERAGE AREA: During the sunlight of summer, mountains north of Nome sharply weaken our signal in that direction, but the salt water of the Bering Sea conducts a powerful signal to the east, south and west. And during winter, our signal leaps over the northern mountains. As we’ve noted to you, we are easily heard a thousand miles into Russia. If KNOM were located in New York City, our regular listeners would be located throughout Connecticut and Rhode Island, all of New York State, New Jersey, Pennsylvania, Delaware, Maryland, and much of Virginia, West Virginia and North Carolina, as well as eastern Ohio. Along the coast, we could be heard as far south as northern Florida. 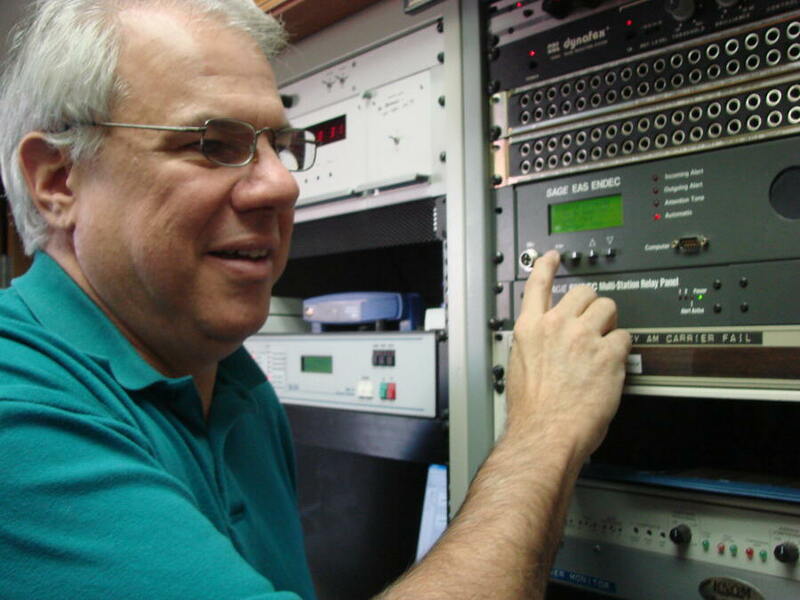 We would have one loyal daily listener (with an antenna booster) in Chicago, and in winter, our talk shows would receive calls from all of New England, from far north of Montreal, and from Michigan. It is truly a vast area. INSPIRATIONAL SPOT: In the Old Testament, the prophet Elijah looks for God in the whirlwind, in the might of the earthquake, in the blaze of a fire. But Elijah didn’t find God in any of them. Whenever things pile up, whenever you’re tempted to do too much too quickly, remind yourself to take a little time for God. Giving quiet time to know God is more precious than the fruits of any hustle. 1971 INSPIRATIONAL SPOT: Our vision of time influences how we live our lives. Some people think of life, of the passing of time, as a line, beginning in one place for us…birth…and ending in another…death. Others regard time as a circle, beginning and ending in the same place…God. FORTY YEARS AGO: (left) The house had been purchased in the 1950s to serve as a parochial school that never materialized. 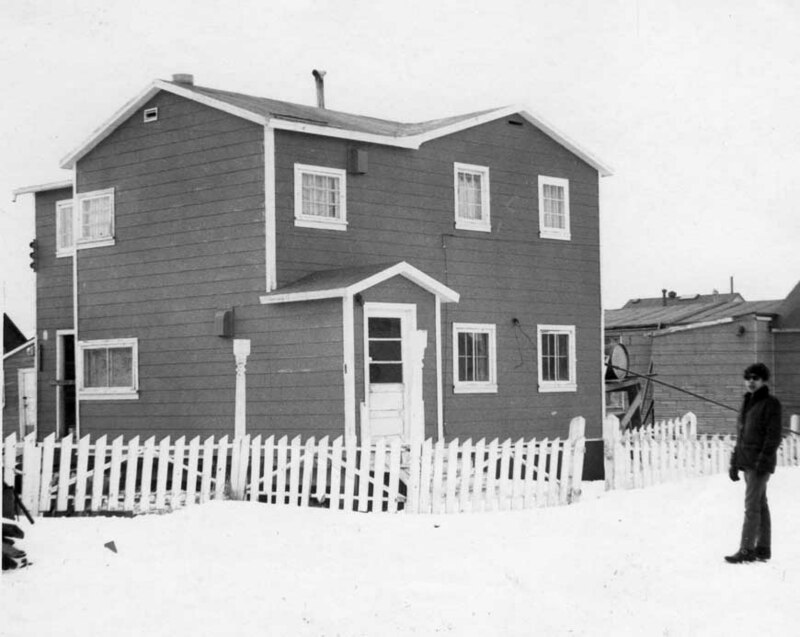 In February 1970, King Island Eskimo Dennis Pikonganna (pick-ah-WAH-nah) stands by the old James Walsh home on Nome’s Third Avenue. Remodeled by volunteers, it serves its catechetical and educational purpose as home for KNOM’s studios for 22 years. 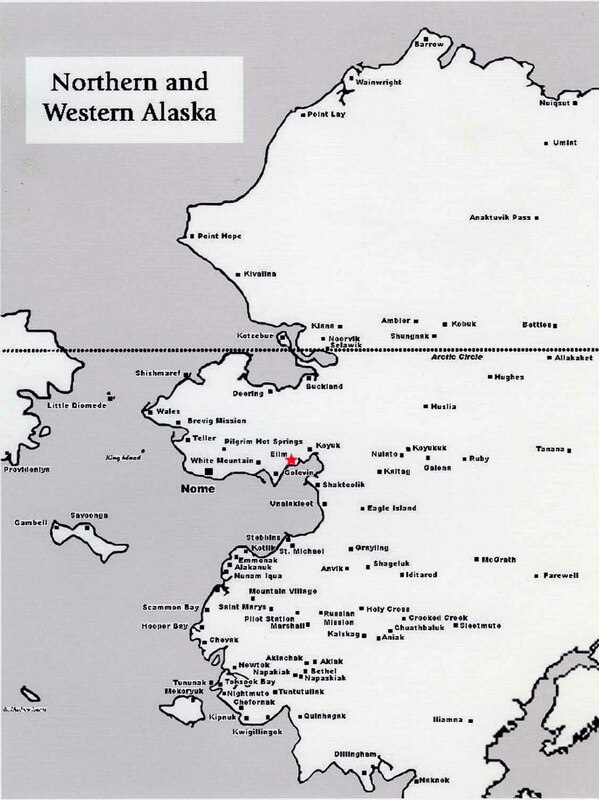 You can see that the winter of 1969-1970 has brought western Alaska very little snow. February 8, 1970, fresh out of Boston College, volunteer Tom Busch flies to Nome to become the founding chief engineer for the station. Immediately, he realizes that the operation that’s envisioned will require an addition to the building. After three volunteer years, he returns to commercial radio, but is back in 1975 as general manager, a position in which he serves for thirty years. THIRTY YEARS AGO: In February 1980, Nome’s electric rate rises to 22.2� a kilowatt-hour. It costs the station $128 a day to power the 10,000 watt transmitter, annually, the equivalent of $116,000 today. TWENTY YEARS AGO: A week before flying to Anchorage to follow the 1990 Iditarod Race trail, volunteer Katy Clark is in the villages of St. Michael and Unalakleet (YOO-nah-lah-kleet) to help with high school career fairs. At the same time, fellow volunteer Scott Cooper is 1,106 miles away, covering a rural development meeting in Alaska’s capital Juneau. IT CAN BE BRUTAL at our AM transmitter site, three miles east of Nome. Blizzards can be life-threatening, the wind can roar so ferociously that you can't stand up. On a peaceful winter afternoon, such as this January 2010 day, however, the beauty of God's creation surrounds you. You are looking at the mouth of the Nome River, and the sun setting behind the frozen Bering Sea. OUR CONTINUED PLEDGE TO YOU: We continue our promise that out of respect for you, we will never provide your name and address to anyone. TO YOU, OUR HEARTFELT THANKS. We’ve said this before, and it remains true. Yours are the shoulders upon which we stand. You make this multiple award-winning work in the wilds of road-less Alaska possible. We ask your continued help and prayers, as together, you and we bring the Mass, the Rosary, news, inspiration, education and encouragement to thousands of remote village families. Thank you, and until next time, may Our Almighty Father richly bless you and those you love.